Let me present the lesson that is my first using this approach. The guinea pigs in this research were the 5th grade students. The photos were taken during their work. 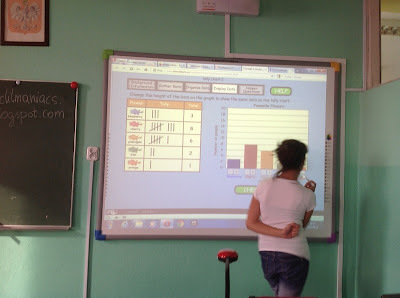 All the groups managed to fullfill all the tasks although in different time - some finished much before the end of the lesson, the others left the classroom with some homework. What is pocket money? Do you get it from your parents? If yes – how often? Who gives you the money? What do you usually do with this money? Do you save it all? What are you planning to buy soon? Explain that now you are going to practise some graphs and charts. Divide students into groups of 2-4 people. 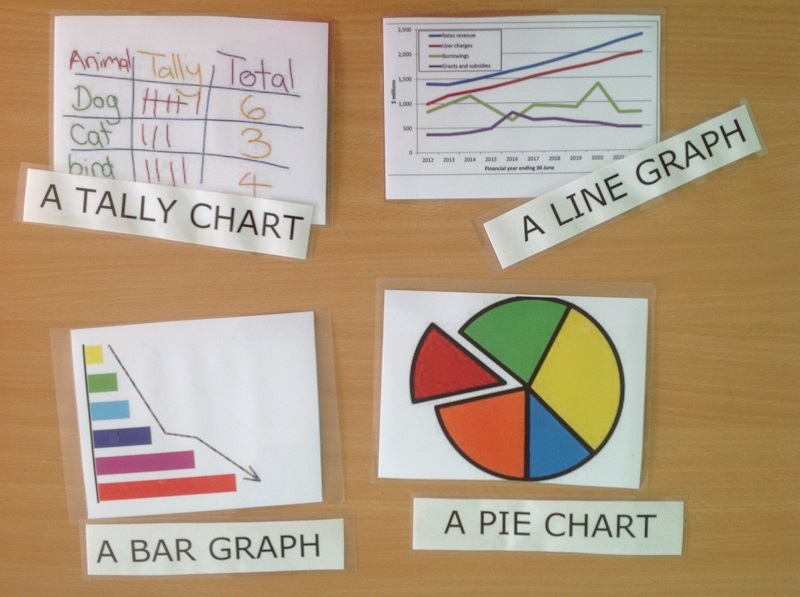 Each group gets a set of 4 pictures and 4 tiles with names of various graphs. their task is to match the picture and the name basing on their previous knowledge. Hand out a worksheet about the bar graphs. Thanks to this activity students will check if they understand how to read one. 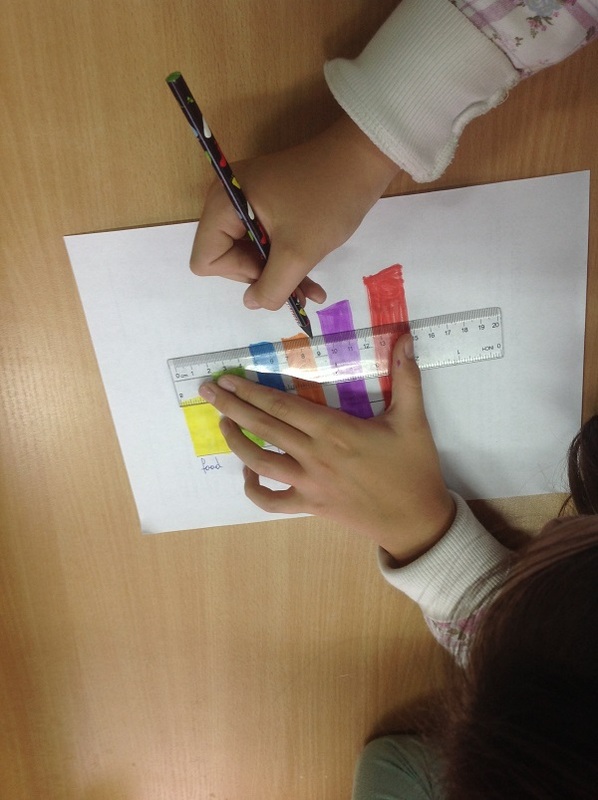 This activity includes organizing data into the tally chart and trasferring it to the bar graph. The students really appreciated it. Depending on the number of students either divide them into groups of 6-8 or do the task with the whole group. You can do it on the blackboard or hand out the ready-made questionnaire. 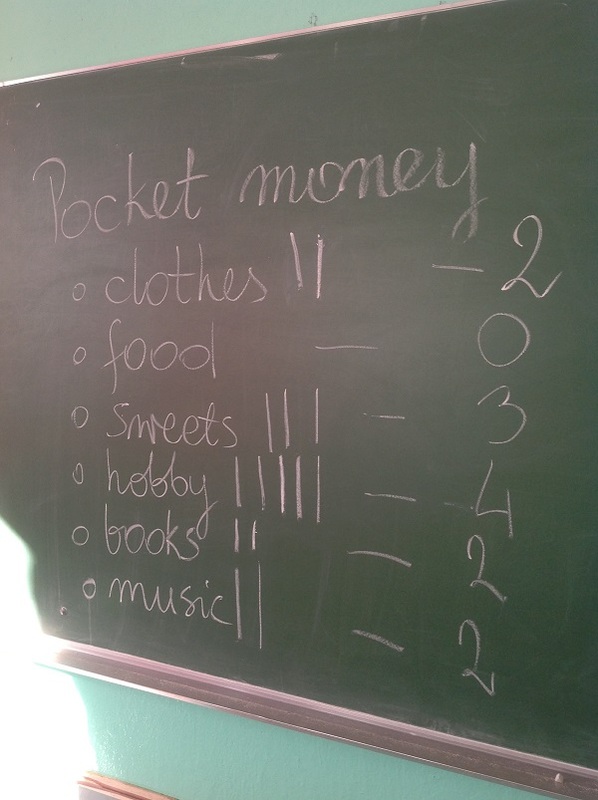 The task is to ask the students to give/choose three ways that they spend their pocket money. From my experience it is better to ask them to construct the questionnaire together on the blackboard and then fill it in making a tally chart. You ask the students to make groups of 2-4 people and draw a bar graph based on the data you have collected about ways of spending their pocket money. To introduce group evaluation of the work, you hand out the checklist. It's written in L1 to make it understandable and clear. The students have to stay objective answering and assessing their input. I have also prepared an extra activity for fast learners. It's about a life cycle of a monarch butterfly. This worksheet asks them to transfer data into a pie chart. 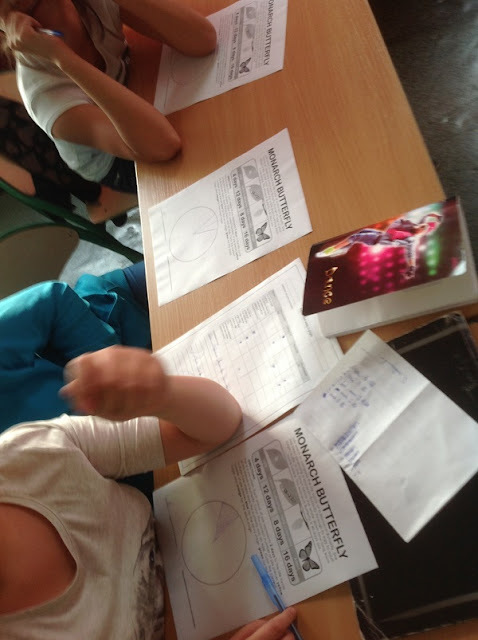 Functional language - I decided to limit their first meeting with CLIL to the basics. I don't want to overwhelm them with amount of new vocabulary. Discussions and presentations - the problem of Polish students in general is the reluctance towards speaking in English in public. I think I will overcome it gradually with time.